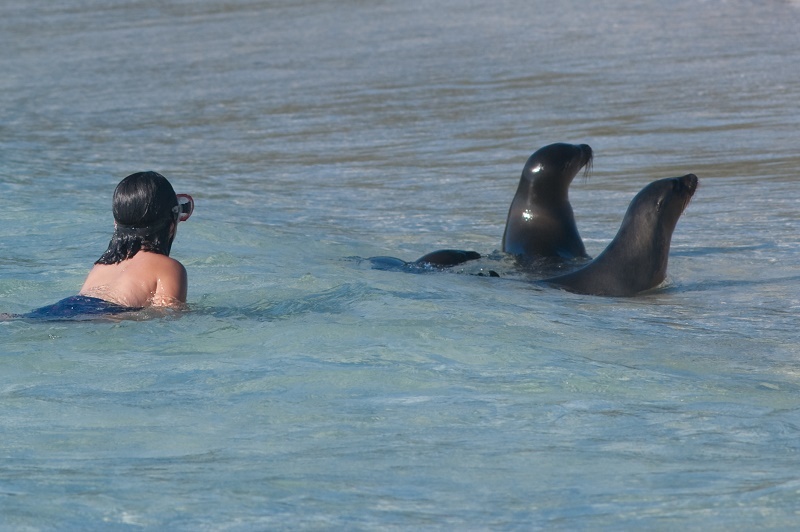 We enjoy countless intimate and close-up wildlife experiences during our Galapagos stay. However, for me, the highlight is our day at Genovesa. I hear the anchor drop shortly after 5am and get up on deck to see sunrise. I quickly realise that we have stopped in Darwin Bay, the submerged caldera of a dormant volcano. As the sun emerges, the sky fills with birds. No wonder it has gained the reputation as ‘the bird island’; within half an hour or so, I am surrounded by frigate birds, swallow-tailed gulls, storm petrels, red-billed tropicbirds, Nazca boobies and red-footed boobies. After breakfast, we travel to Prince Philip’s Steps, where we start the trail that winds its way around the island, leading us through huge colonies of mating boobies and frigate birds. Watching these courtship rituals so close up is truly awe-inspiring. Particularly memorable is watching a short-eared owl hunt a petrel in broad daylight, a technique adopted only by owls on the Galapagos. Later that morning, we try to escape the blistering heat by taking to the water – and what a treat is in store for us! James leads us to a shallow piece of water protected by the cliff line. This is known as a cleaning site for hammerhead sharks, and doesn’t disappoint. Within two minutes of being in the water, I quickly spot the outline of a hammerhead shark below me, and then another and another. To snorkel among so many of these wonderful creatures is truly a dream come true. Even within this relatively short itinerary, we noticed the striking diversity of the islands’ geology and topography, with each island having its own personality and history. In one day alone, we walked along the red sandy beaches of Rabida, explored the black lava tunnels and formations of Chinese Hat Islet, and snorkelled in crystal clear blue waters full of multi-coloured coral. 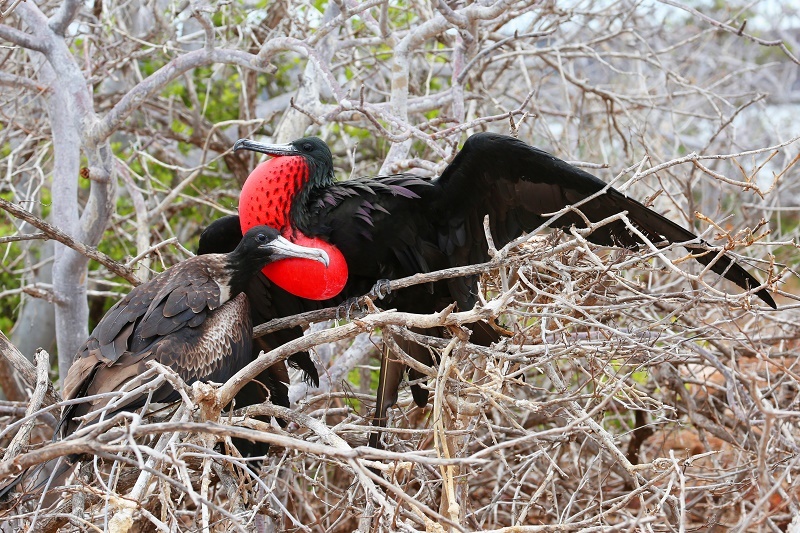 Why visit the amazing Galapagos only once? No two landings on the Galapagos are ever the same, and this wonderful diversity makes the longer itineraries extremely rewarding. I was relieved that, when I finally disembarked the Majestic in San Cristobel, I wasn’t flying home like many of my fellow travellers, but instead had another exciting cruise to join later that day. 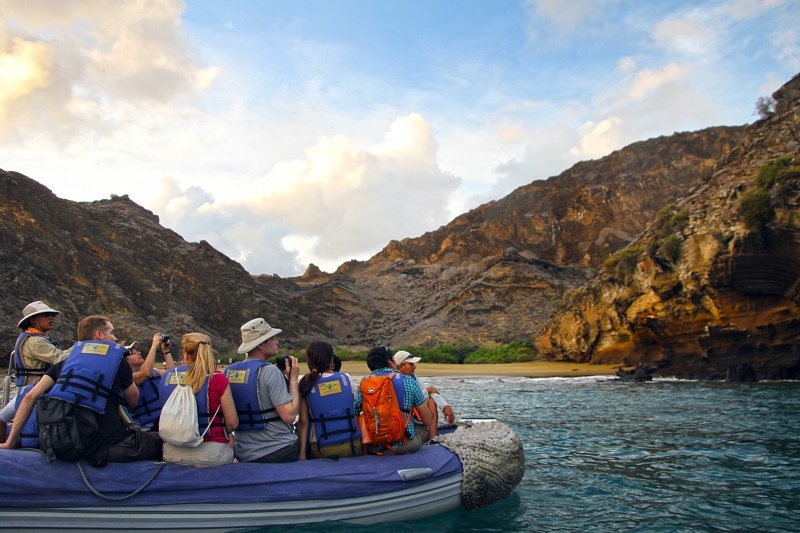 Thanks to WILDFOOT, Galapagos cruise tours could welcome you, too. 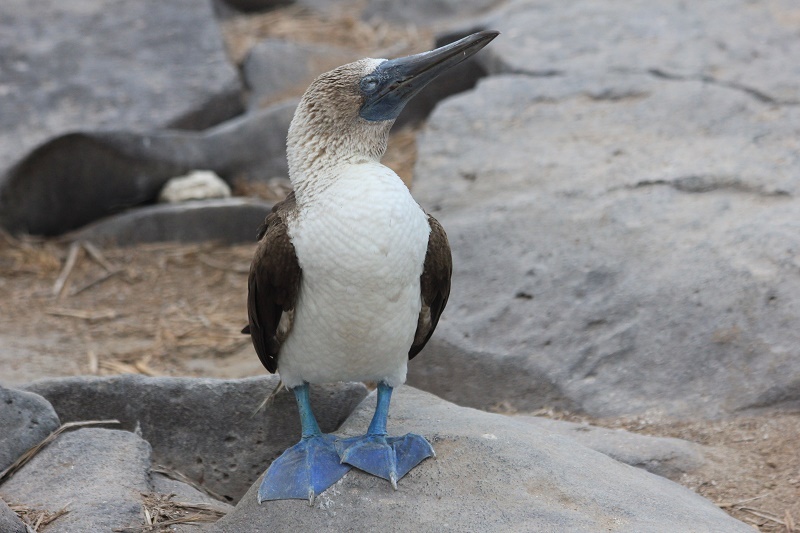 Contact WILDFOOT today for more information about our Galapagos cruise packages, designed to enable you to discover this truly remarkable part of the world.